Komax’s large selection of integrable wire handling systems. 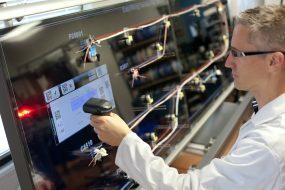 The interactive wire harness layout board is bringing wire harness manufacturing to the digital age. The system replaces paper diagrams with a dynamic display of information to guide the production process of an electrical harness. The semi automatic reel storage systems are especially suited for flexible productions of single cables and for small to medium batch sizes. 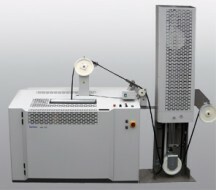 This System is the perfect Feeder as completion for a cable processing line with various stages of expansion available. 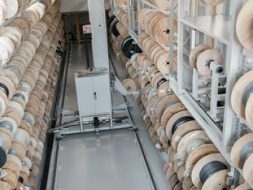 Our storage system has been designed especially for reels and provides the best performance of storage and production space.